Currently over 7 million companion animals enter animal shelters in Canada and the United States every year. Euthanasia rates are approximately 60 percent of dogs, and 70 percent of cats, meaning over 4 million potentially healthy adoptable animals are euthanized each year. We have a pet overpopulation problem that is not going away, and animal shelters ( and their staff), should not be the ones who have to bear the brunt of irresponsible pet owners. According the the American Pet Products Association (AAPA), 10 percent of the animals received by shelters have been spayed or neutered, while 78 percent of pet dogs and 88 percent of pet cats are spayed or neutered. In 7 years, one unspayed cat and her subsequent offspring can produce over 450,000 cats. That estimates come from an average litter of 3, twice a year. In 7 years, one dog and her offspring can produce over 4,000 dogs, with an average litter of 4, once a year. The number of stray dogs and cats is staggering. According to the ASPCA, it is impossible to determine how many stray dogs and cats live in the United States; estimates for cats alone range up to 70 million. From the organization 600million.org, there are an estimated 600 million stray dogs in the world; thus the organization’s name. Dogs and Cats need to be spayed and neutered. Only 10 percent of the animals received by shelters have been spayed or neutered, while 78 percent of pet dogs and 88 percent of pet cats are spayed or neutered. The cost of spaying or neutering a pet is less than the cost of raising puppies or kittens for a year. Organizations such as SpayUSA , developed in 1993 have helped hundreds of thousands of people nationwide obtain low cost, quality spay/neuter services. SpayUSA provides referrals to over 1,500 low cost sterilization programs and clinics nationwide with 5,000 veterinarians in the network as of 2011. Animal Sterilization. 600million.org is an organization that proposes an animal sterilization pill to cut down on animal population, and in turn, reduce animal abuse and killings. The Alliance for Contraception in Cats and Dogs wants to humanely control pet populations worldwide introducing methods to non surgically sterilize dogs and cats. Scientists have yet to develop a universally safe and effective non surgical sterilant, but ongoing research is promising. Don’t buy animals from pet stores or puppy mills. Puppy mills are still thriving, fulfilling the consumer demand for inexpensive, and always available types of purebred dogs. The majority of puppies in pet stores ultimately come from puppy mills, and so long as pet owners keep purchasing these dogs, puppy mills keep pumping out puppies. I would encourage stricter government legislation, along with serious fines to help put an end to these unethical operations. Feral cats are a large part of the cat overpopulation problem. The most effective way to reduce feral cat numbers is through Trap-Neuter-Return (TNR) programs. These cats are trapped, brought to a participating veterinarian to be spayed or neutered, and then returned to the area they were trapped in. These organizations need ongoing support, so please support them as they are doing wonderful work in helping decrease the incidence of unnecessary cat euthanasia. Adopt your pets from a legitimate shelter or non profit rescue group. 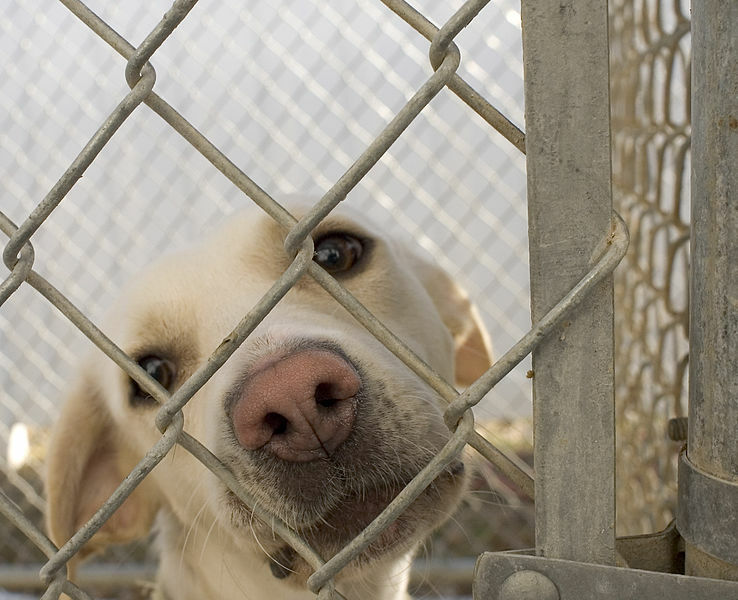 There are millions of dogs and cats in shelters now waiting to find a home. By adopting from a shelter you will help with pet overpopulation, and also then financially support the shelter to continue their work of rescuing, spaying or neutering, and adopting more animals. If you are focused on a specific breed, still consider a shelter as 30% of dogs are purebred. As well there are hundreds of pure bred rescue groups that you can contact. Pet overpopulation is a staggering problem, resulting in over 4 million potentially healthy adoptable animals being euthanized each year in just Canada and the United States. More dogs and cats need to be spayed or neutered; all animals adopted from animal shelter should be mandatory altered. An animal sterilization pill, if developed, will make a huge dent in the worldwide pet overpopulation problem. The ongoing efforts of Trap Neuter and Return programs need continued support. Lastly, we as potential pet owners need to be adopting pets from animal shelters and rescue groups, not pet stores. Puppy mills need to be illegal. There needs to be legislation on this issue. The sterilization pill is a great way to go. Thank you for this education (or reminder) of the over population of animals. I have never “bought” a pet and only adopt from shelters. My latest is a 14 year old cat. 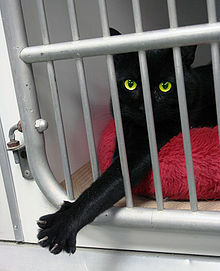 And I usually adopt black colored cats. Although the color of a coat should never be important, however senior cats and black ones very sadly the last to be adopted due to prejudices of humans. If the government made it illegal to sell a dog unless you are a breeder, and anyone selling a dog is immediately jailed for 30 days and a 10 grand fine per dog, and every breeder had to be registered with the CKC (or AKC) or the department of agriculture if it is not a recognized breed, and only 2 different breeds of dogs/cats are allowed per breeder, then the problem would be minimized. If you had to pay $1500 to $2000 for a puppy, it would no longer be considered a throwaway. People don’t value life any more because they are so obsessed by stuff. If you cannot afford the cost of a puppy and the vet fees and quality food and take the dog to training classes to properly socialize and train it, then save the money and take a holiday, buy a new toy or get a fish. Every animal ready for adoption should ALREADY be spayed or neutered. I am amazed at the number of shelters who give adopters a voucher and expect that the people will go to a vet to get it done. People these days insist they don’t have time to do even that simple thing. Every cat I’ve ever had has come from rescue-off-the-street or a humane organization. Their love is just as valuable as a purebred’s. I hope that a non-surgical and humane neutering solution can be found soon. I live in Fiji where there is literally less than a hand full of Vets. Only registered Vets can undertake surgical neutering and there is no way they will alone be able to manage and control the dog and cat over-population. This inevitably leads to the suffering of unwanted/abandoned puppies and kittens as well as conflict between strays and humans leading to acts of cruelty such as poisoning. I do agree with getting rid of puppy mills. They are a horrible problem and yes by buying puppies/kittens from a pet store only enables the issue,but my question would be…What then happens to these poor puppies/kittens? Do they end up being euthanized? They did not asked to be born. They need to be loved too. This is the dilemma for me. As to spay/neutering, yes very important. However I do not agree that it is affordable to everyone. I believe that if it were affordable more people would be inclined to have it done. There will always be people in the world who don’t care and are cruel to animals. We will never stop that unfortunately. My heart breaks over some of the things I have read and pictures I have seen. So why not target the people who do care and help them to help their pets. It is a start. If I may throw in my harsh 2 cents…. All pet owneres should watch the HBO documentary, One Nation Under Dog. All cat and dog breeding and sales should stop…be outlawed. These animals truly suffer at the hands of our Capitalist and inhumane society. If we want pets..we should be adopting…period. Pet stores and breeders serve no justifiable purpose in light of the suffering too many companion animals endure. We defile this Earth in so many ways…in the end we will suffer too. Outlawing dog breeding is not the answer. What about those who wish to purchase quality, registered, pedigreed animals for the purpose of perpetuating a quality breed of dog for breeding and show. We would be relegated to mongrels. Passing a law and getting the government ever more intrusive in our lives is not the way to go. The fact is there are evil, irresponsible people out there who just don’t get it and never will. You have to feel sorry for the innocent animals but basically people have freedom of choice and don’t always use it wisely. As people who choose holistic, natural health-care products and modalities, we understand the toll that drugs take with so-called “side effects”. Why do you think that a drug to sterilize animals would be any less problematic than the drugs we already have? Maybe we should have a new vaccine that sterilizes. Right. Wishful thinking. Nature designs mongrels, and they are better designed than breeds created by humans. Humans have frivolous priorities. Nature dos not. Humans have a lot of ignorance, Nature is wise. Read Dr. Richard Pitcairn, Natural Health for Cats and Dogs, chapter 9, “Choosing a Healthy Animal”. I love animals and it saddens me to read this post and have read others like yours. I believe if Vets would charge less this over population would be better controlled. 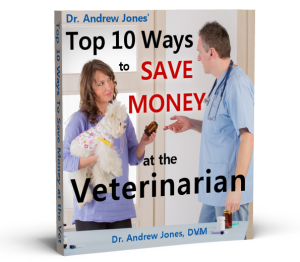 When a pet is sick and needs a visit to the Vet, it cost way to much money. So, therefore people are not encouraged to do things right for their animals. When my horse got injured six years ago, it cost me over three thousand dollars in Vet bills. It got very discouraging and felt that was over priced. It’s not just the people responsibility, Vets also should take responsibility by charging less then people will be encouraged!! !